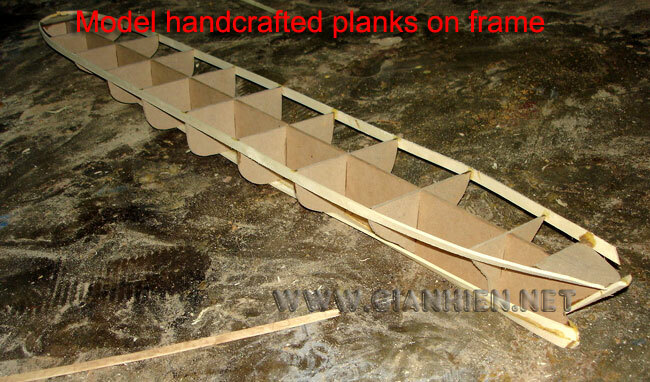 Model is hand-crafted from wood with planks on frame construction and then painted as the color of the real boat. 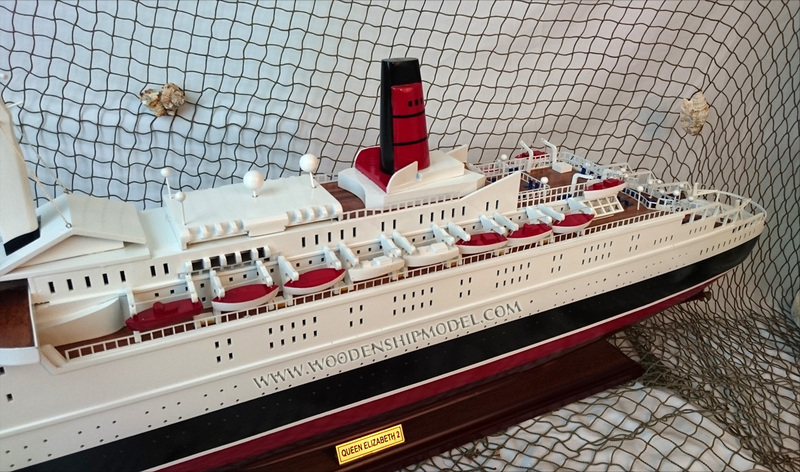 This model is ready for display. 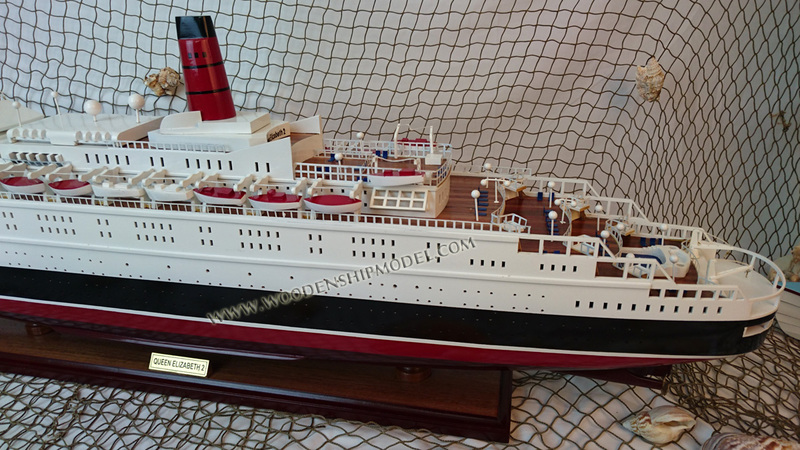 The Queen Elizabeth 2, often referred to simply as QE2, is a retired ocean liner built for the Cunard Line which was operated by Cunard as both a transatlantic liner and a cruise ship from 1969 to 2008. 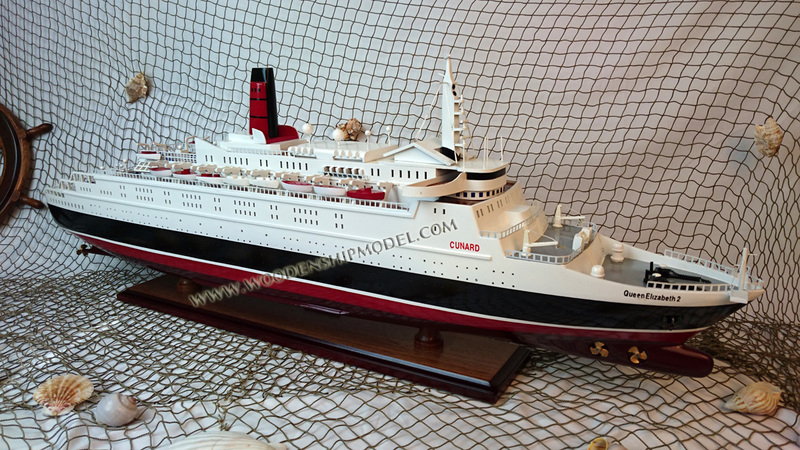 She was designed for the transatlantic service from her home port of Southampton, UK, to New York, and was named after the earlier Cunard liner RMS Queen Elizabeth. 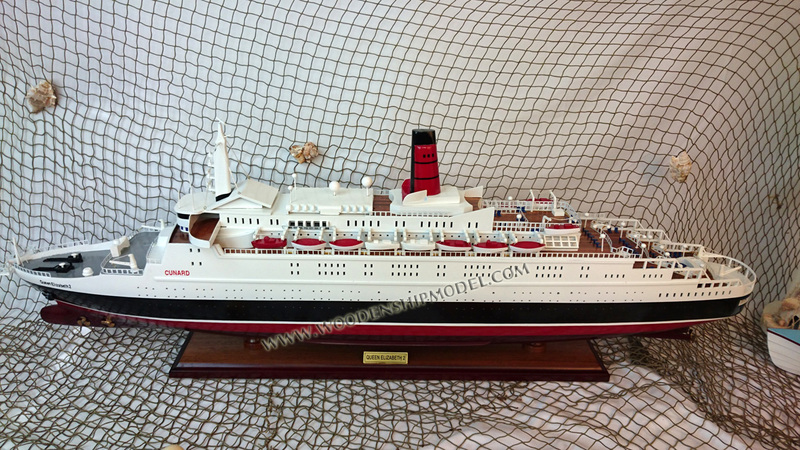 She served as the flagship of the line from 1969 until succeeded by RMS Queen Mary 2 in 2004. 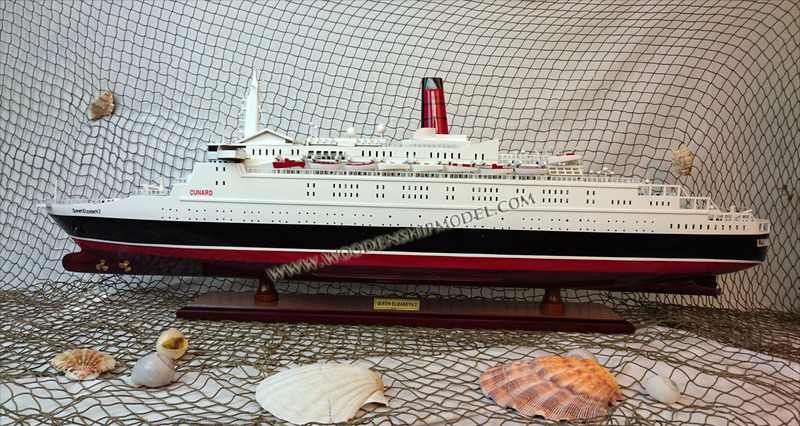 Designed in Cunard's then headquarters and regional offices in Liverpool and Southampton respectively, and built in Clydebank, Scotland, QE2 was considered the last of the great transatlantic ocean liners until Queen Mary 2 entered service. 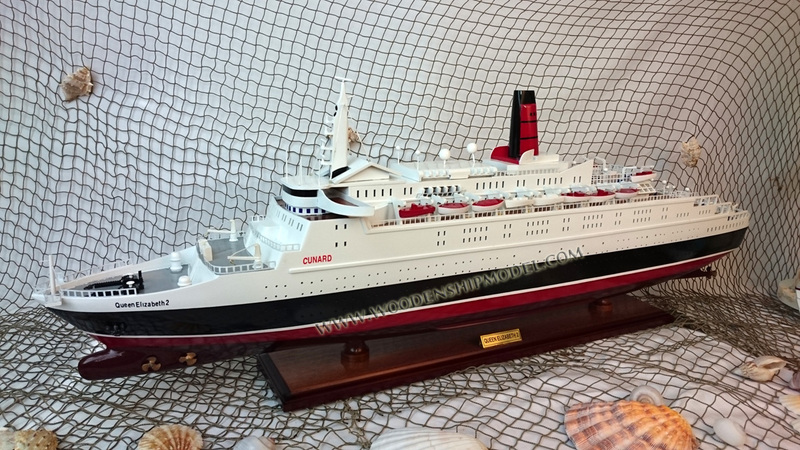 The QE2 was also the last oil-fired passenger steamship to cross the Atlantic in scheduled liner service until she was refitted with a modern diesel powerplant in 1986/1987. 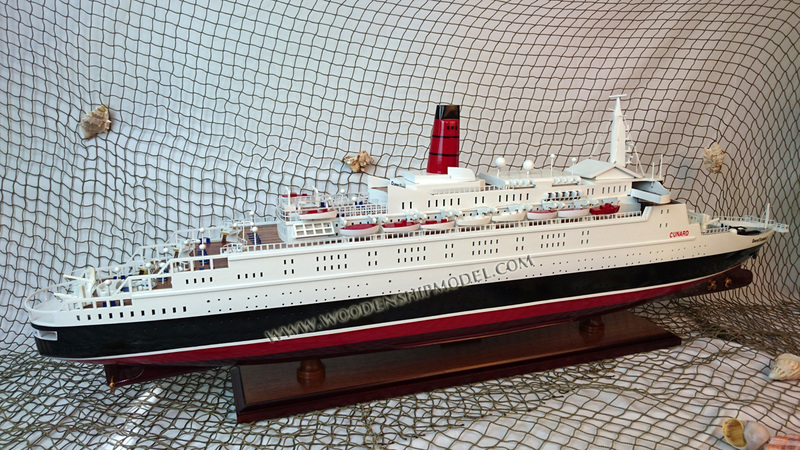 During almost forty years of service, Queen Elizabeth 2 undertook regular world cruises and later operated predominantly as a cruise ship, sailing out of Southampton, England. 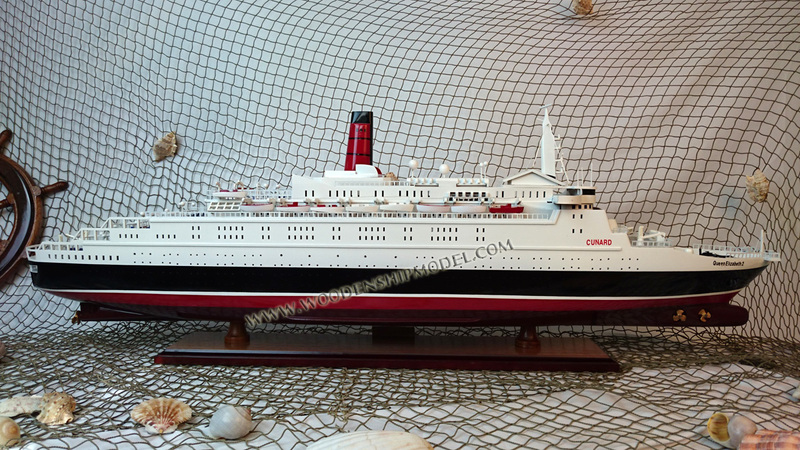 QE2 had no running mate and never ran a year-round weekly transatlantic express service to New York. 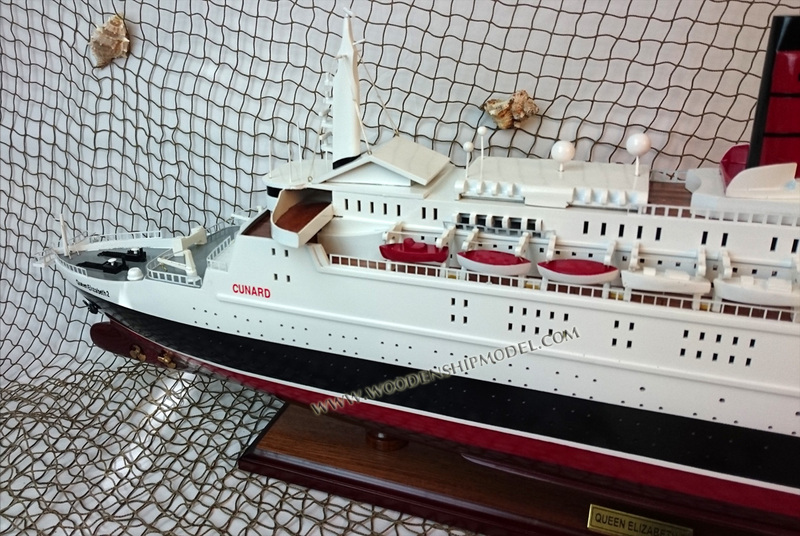 QE2 did, however, continue the Cunard tradition of regular scheduled transatlantic crossings every year of her service life. 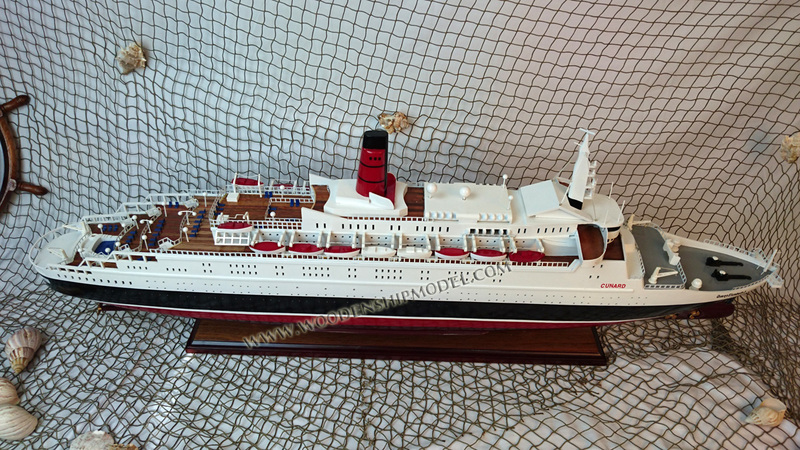 QE2 was never given a Royal Mail Ship designation, instead carrying the SS and later MV or MS prefixes in official documents. 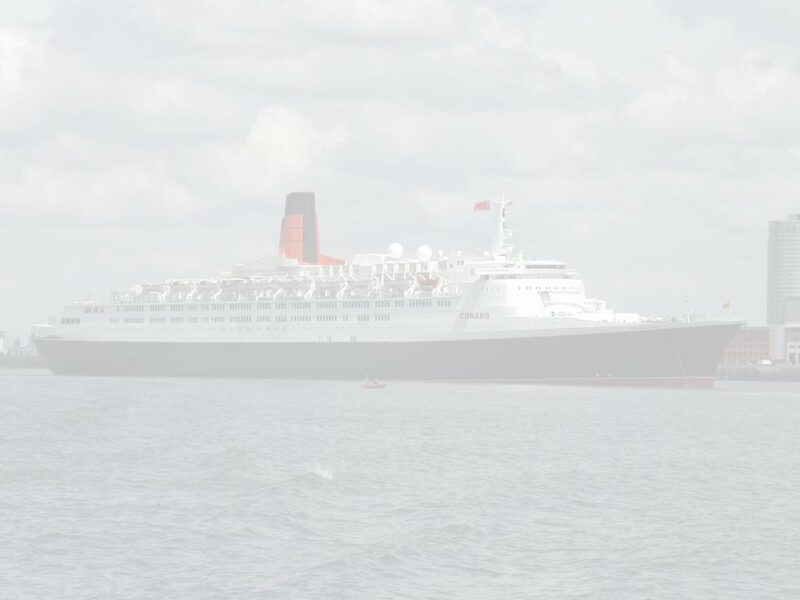 QE2 was retired from active Cunard service on 27 November 2008. 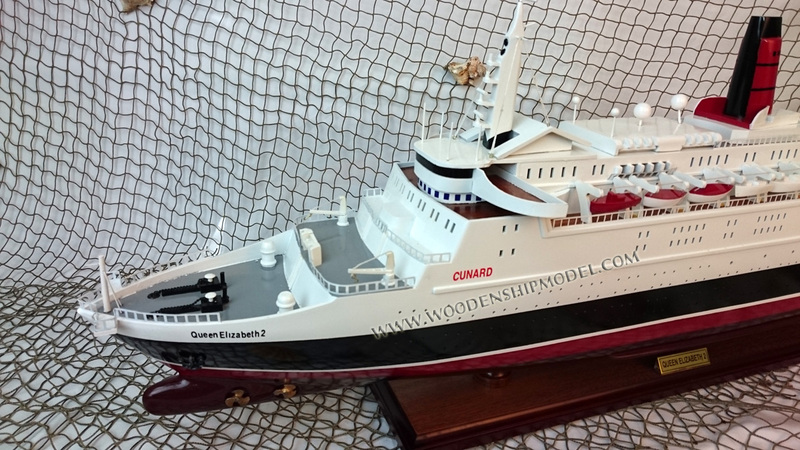 She had been acquired by Istithmar the year before by the private equity arm of Dubai World, which planned to begin conversion of the vessel to a 500-room floating hotel moored at the Palm Jumeirah, Dubai. The 2008 financial crisis however intervened and the ship remains laid up at Port Rashid. Subsequent conversion plans were announced by Istithmar in 2012 and by the Oceanic Group in 2013 but these both stalled. As of January 2016 the ship remains laid up in Dubai while the port operator claimed that there were future plans for the ship and no intent to scrap her.